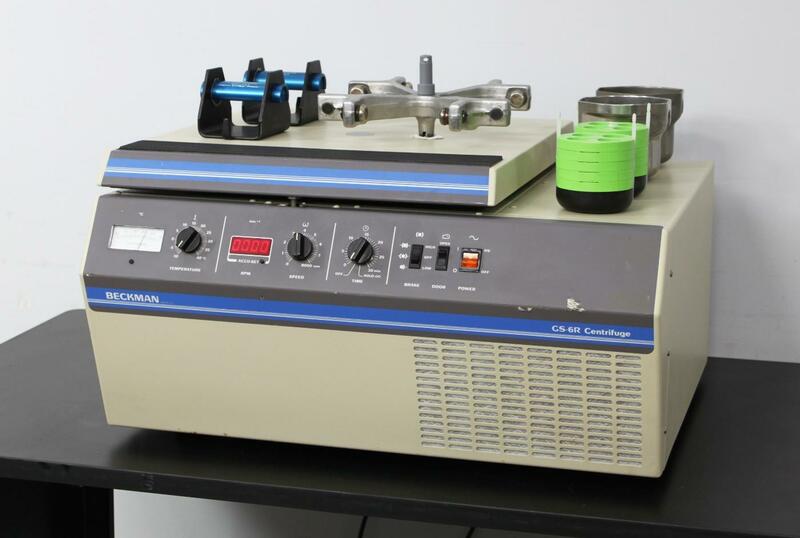 Beckman Coulter GS-6R Refrigerated Benchtop Centrifuge w/ GH-3.7 Rotor & Buckets . New Life Scientific, Inc.
inserts, this Beckman Coulter GS 6R centrifuge has no shortage of accessories. side of a run, the chamber cools to -8°C. Fully functional, in good condition, and packaged with everything needed for immediate use, this GS 6R is ready to spin. - Replaced aforementioned nut and roll pin. He also blew dust out of the machine’s internals. We’re happy to report that no other issues were found with this machine. *Carriers only support two plates if both plates have 96 wells. equipment to protect you against any equipment failure or defects.